Spinning. 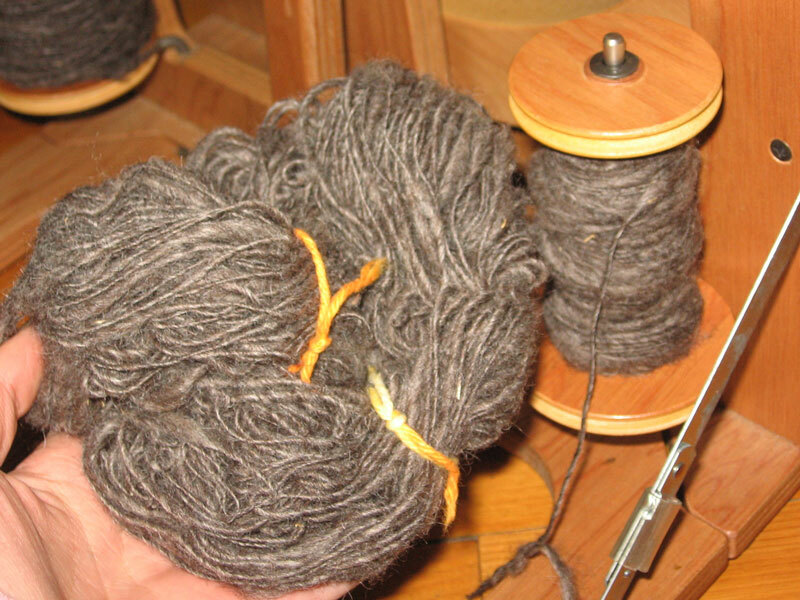 Straw into gold, or for the non-fairy-princess (me), spinning wool into yarn. Or nettles. Or milkweed fluff. My mind has taken off running. 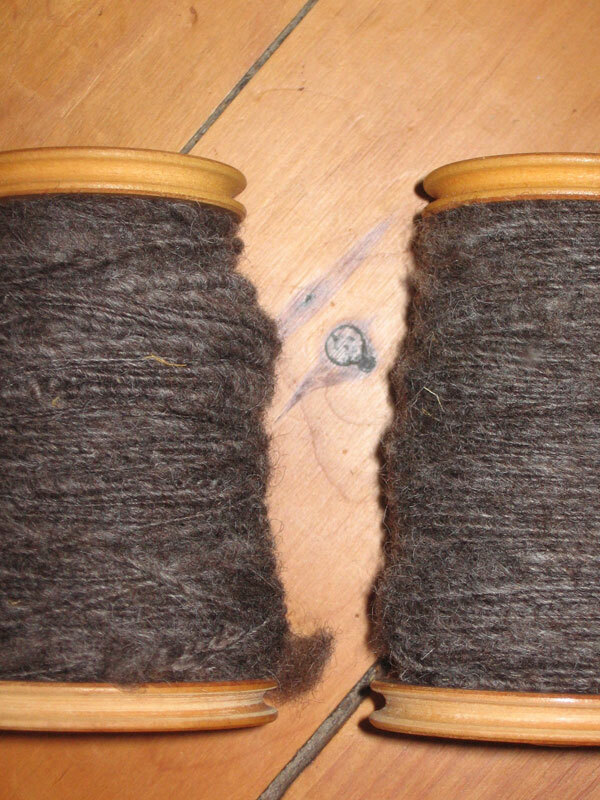 For now I am spinning wool. Into yarn. Bumpy, lumpy, one ply, two ply yarn. Maybe I will knit a doll sweater out of it. Or some hand warmers? My good friend Jeanne is a master spinner, among other things. She used to raise sheep and goats, shear them, and wash, card, dye and spin her own lambswool and mohair. 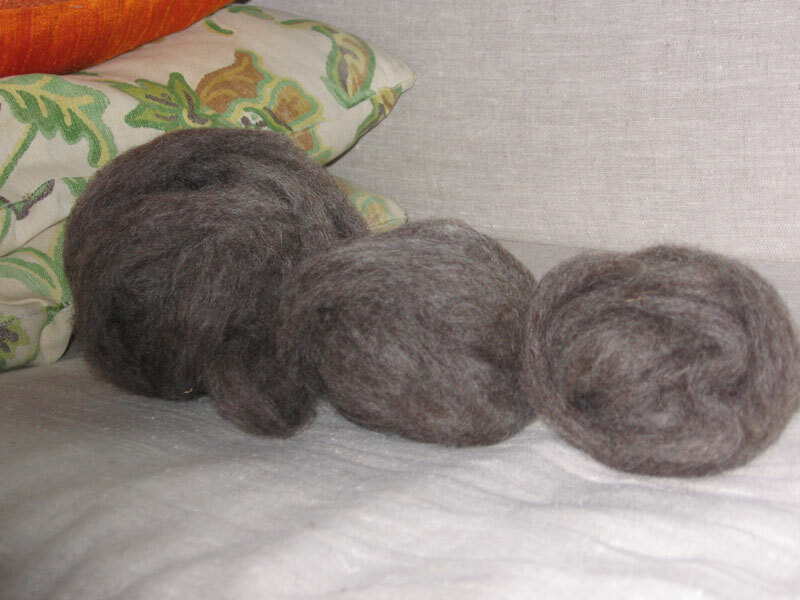 Jeanne got me started on an extra spinning wheel that she has. It is a traveling wheel, which means that it can fold up into a little bag, and go on the road! 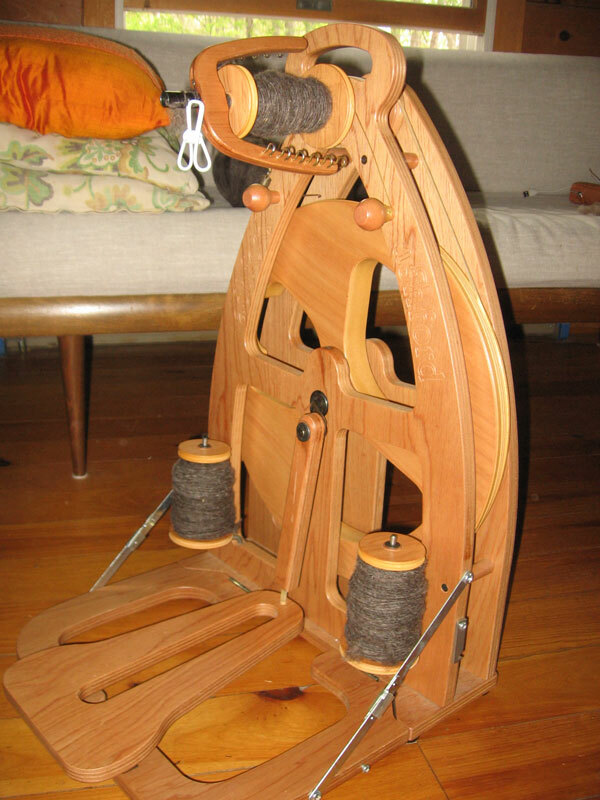 Today I took the three bobbins full of yarn off the spinning wheel, and wound them onto a coat hanger, fashioned as a mini skein winder. To keep the skeins nice and neat, I tied little cotton ties around in various places. It can be a real mess if a skein gets out of control! 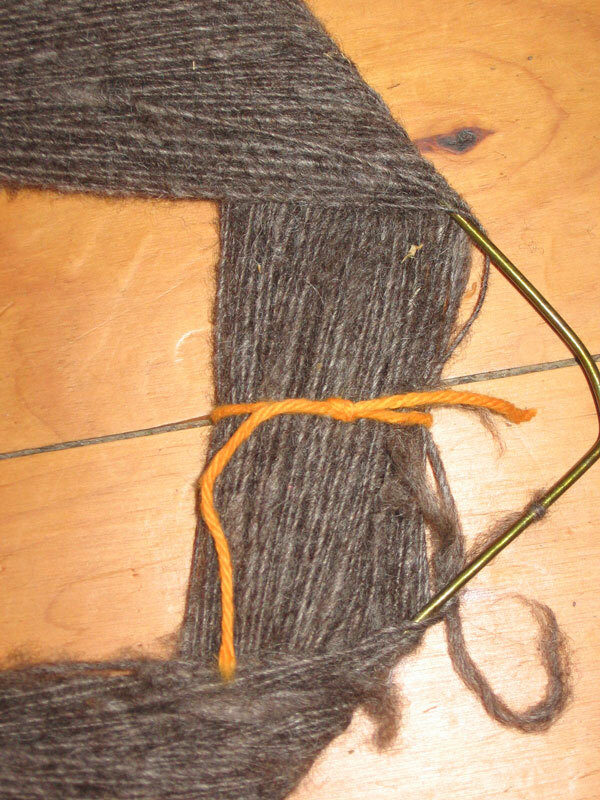 When you spin yarn, it remains twisty and in order to use it, you need to “set the twist,” so that the yarn doesn’t unravel and twist up into little knots (as it has below). So I gave the yarn a bath to set the twist. 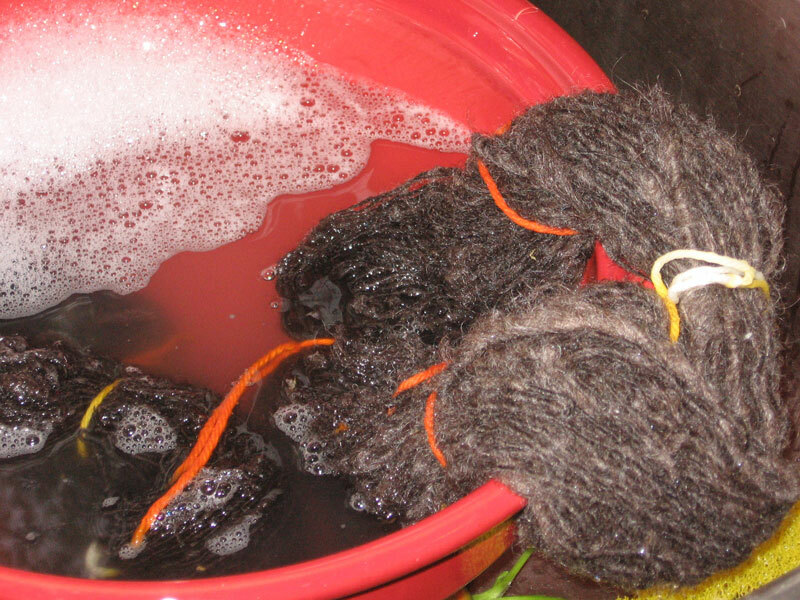 I soaked the skeins in a bowl in my sink for about 30 minutes, in water and wool wash.
Then I set the yarn out to dry. 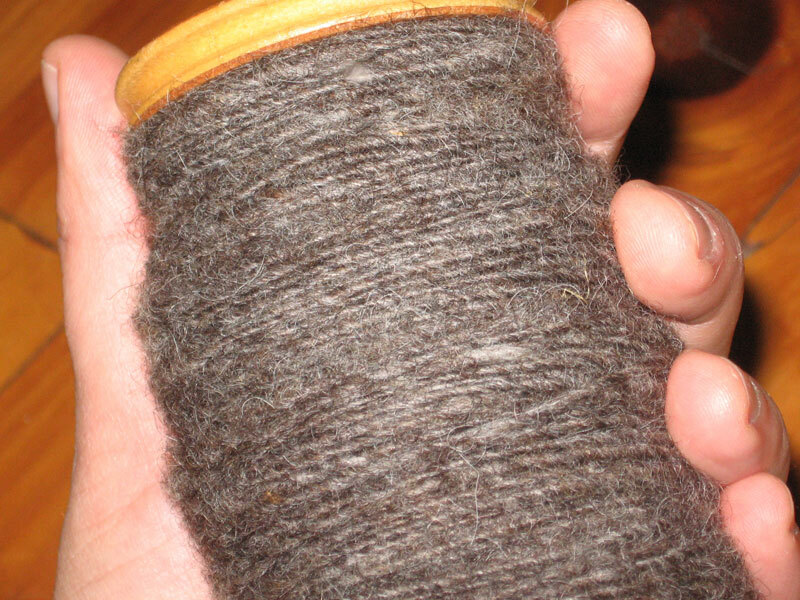 It must dry with something weighting it, or the kinks and coils will remain. I rigged a system to weight two of the skeins, and the third I slipped back on the hanger to dry stretched. The skeins are hanging from a bar, balanced on my drying rack. 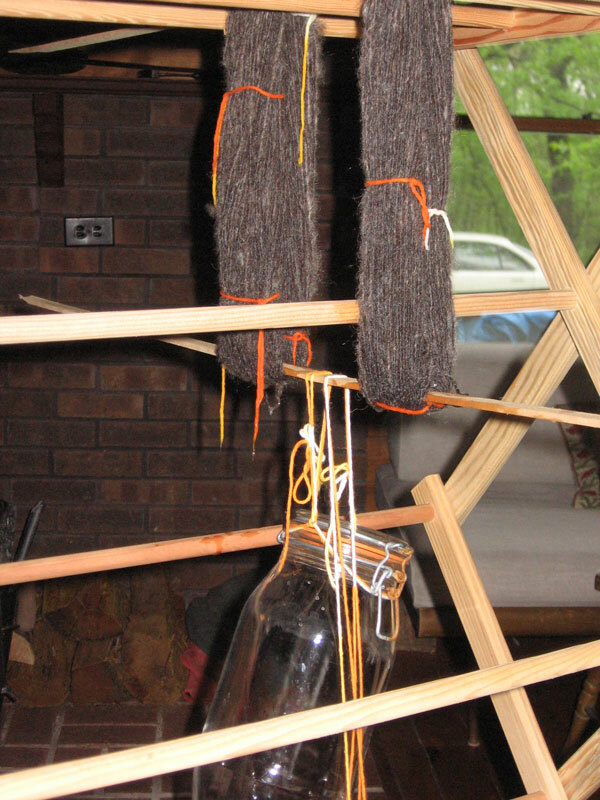 A second bar is drawn through the bottom of the skeins, and weighted with an empty glass jar (securely fastened). They are by the fire, but not in direct sunlight (according to directions). Wow, that’s quite a process, but it looks fascinating! I love the little spinning ‘wheel’ from Jeanne. How nifty that it’s portable. 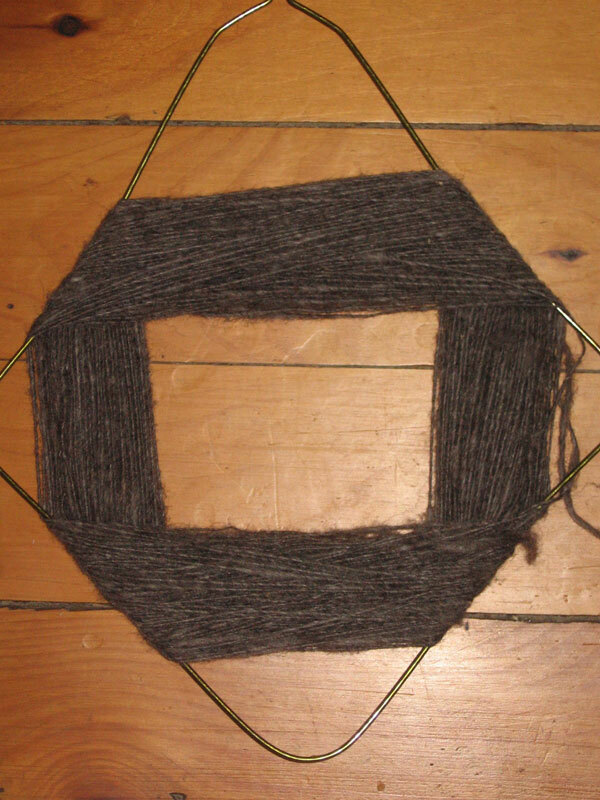 Wonder what you’ll end up making from your homespun?